When they’re healthy, your teeth are some of the most formidable parts your body. Not only are they protected by the most resilient substance in your body (tooth enamel), but they’re also supported by a comprehensive system of jawbone structure and periodontal tissues. This support system helps ensure that your teeth remain strong, healthy, and durable as you bite and chew every day. 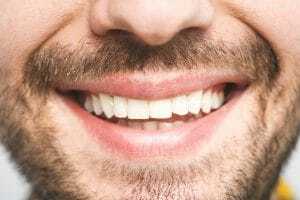 When patients in Encinitas/San Diego begin to notice that their teeth are loose and no longer as secure as they should be, it could be an indication of a serious underlying problem. Sturdiness and stability are vital to the health and integrity of your teeth for many different reasons. For example, your teeth have to remain stable under the repeated pressures of biting and chewing, otherwise they would constantly shift out of place. The periodontal tissues around your teeth can also be affected by loose teeth and/or be the cause of them. For instance, if you have periodontal disease, then infection in your gums can cause the tissues to separate from your teeth roots. This not only makes periodontal disease more likely, but also loosens your periodontal tissues’ grip on your teeth roots and the overall stability of your teeth. The good news is that loose teeth don’t always have to lead to extensive periodontal and oral health issues. If you notice that your teeth seem to move or have become noticeably loose, then schedule a visit with your periodontist as soon as possible. If periodontal disease is the cause of your condition, then periodontal cleaning and maintenance may be able to restore your periodontal health and your gums’ grip on your teeth roots. This will also help you avoid the increased risks of tooth loss that come with the development of severe periodontal disease. If your teeth seem like they’re loose, then you should seek periodontal treatment as soon as possible to determine how serious the problem is. For more information, schedule a consultation with Dr. Kania by calling her periodontal office in Encinitas/San Diego, CA, at (760) 642-0711.